ARRIVAL TIME: Between 8:45 and 9 AM. If your child is going to be late or absent, please let us know by calling 949-645-8489. PICK UP: Campers are to be picked up by the flags. Please park your car and walk to the flag to sign your camper out. If our lot is full, please park in the NHHS parking lot and walk over. What to do on Day One! 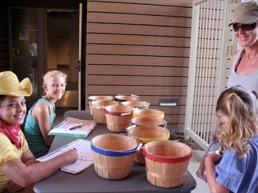 Campers must check in each day at the check in table, in the breezeway between our two buildings. They will be given their name badges and place their snack/lunches in their group basket. Campers then walk to the “Log Area” for morning assembly. If it is actively raining: Check-in will be inside at the front desk. 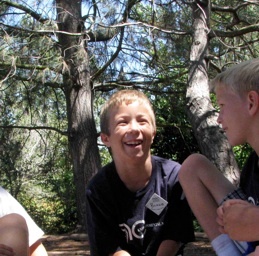 CLOTHING: Your camper should wear rubber-soled, closed-toe shoes (NO SANDALS). Dress in layers, since most of our time will be spent outside. Sun protection (hat and sunscreen) is recommended. Between 10:15 and 10:30 AM each day campers will have a snack break. Campers will have a lunch break around 12PM. 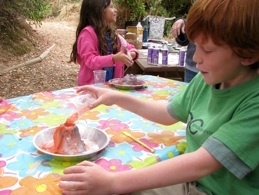 Please pack your camper(s) a healthy snack, lunch and a beverage. 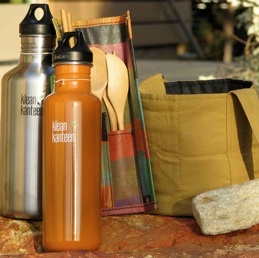 Reusable water bottles and food containers marked with the camper’s name are encouraged. Our camp teachers thank you for NOT giving your kids snacks with lots of refined sugar and packaging!